Some climate-change activists dismiss the work, which is just getting underway, as a distraction and a concession to industrial-style agriculture, which they blame for compounding the world's environmental problems ... Because raising animals demands so many resources, the only viable way to hit global targets for greenhouse gas reduction may be to encourage people to eat less meat. But the issue with the research project isn't simply the problems inherent in trying to continue factory farming in order to combat the ramifications of factory farming. Genetically modifying chickens also poses threats to animal welfare, as previous studies have shown. Additionally, researchers have already discovered that introducing new animal breeds to the American agricultural gene pool doesn't always go over well: scientists who tried to introduce a new breed of cattle found that it didn't suit American consumers' tastes, meaning the alteration to the animals' genetics was, essentially, in vain. 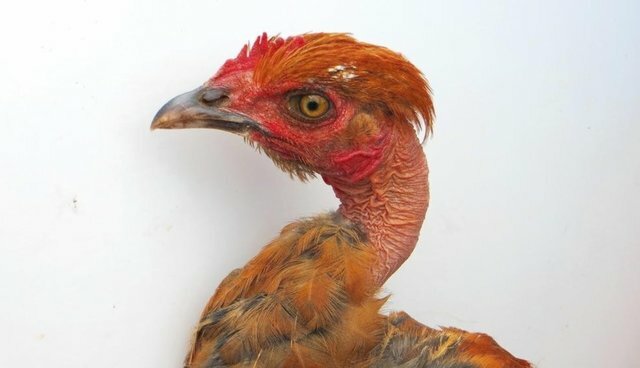 The Delaware chicken project, which has received funding from the federal government, exemplifies an attitude toward climate change that "is like trying to promote driver safety while helping the car industry make faster cars," Alan Miller, a former climate change specialist at the World Bank, told the LA Times. And that attitude could have devastating effects for the chickens confined to factory farms before they're sent out for slaughter, without doing much to make the world a better place.